Not a fan of those huge and expensive wedding dresses? Keep reading! If I ever get marry, I would love to have a really bohemian, relaxed wedding where I don't need five people helping me out with my dress, many girls dream with the white huge dress and the prince charming and, unless you've been saving since kindergarden, iepare to spend some money. There are always cheaper alternatives and that's why I want you to know this store, it's called Muee.com and it has beautiful dresses for under $300 where you can send all your measurements and they do it especially for you! It has some good reviews online and I will not deny it, if I get marry I would certainly try this online store. Scroll to check out some of my alternative choices! MUEE's MUEE's Vintage Prom dresses, shop this dress here! 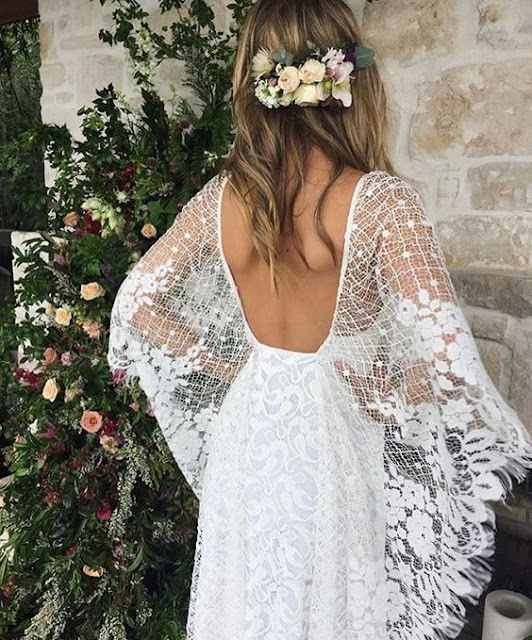 Vintage Wedding Dresses, Shop this dress here! They are all so beautiful! Great picks!